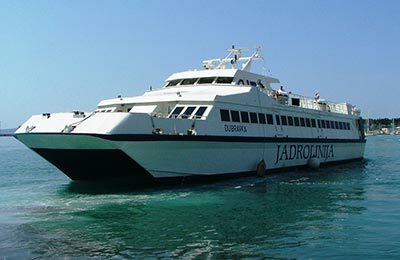 Book ferries to Croatia and Italy with Jadrolinija - Split, Hvar, Ancona, Dubrovnik, Bari and More! 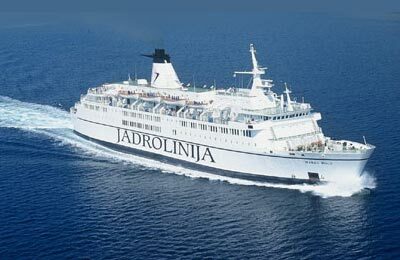 You can use AFerry to book a Jadrolinija ferry to Italy and Croatia. Jadrolinija takes you to the most beautiful destinations, safely, comfortably and to schedule offering an unforgettable experience. AFerry always has cheap prices for Jadrolinija Ferries and the latest special offers. You can use AFerry to book Jadrolinija ferries to Split, Hvar, Ancona, Dubrovnik, Bari and many more especially in the peak Summer season. See below for the latest Jadrolinija ferry prices and sailing times. Click on your ferry route for a detailed Jadrolinija timetable with arrival and departure times. Many of Jadrolinija's routes especially to smaller locations in Croatia are seasonal and available only in the Summer months depending upon popularity. Jadrolinija ferries provide comfortable accommodation in cabins or in luxury suites. Nights of music and dancing can be had on board the Marko Polo and the Dubrovnik in addition to a variety of other games and entertainment. There is also a rich choice of excellent food prepared on board by the Jadrolinija Head Chef. On board both the catamarans and ferries you are allowed to take a suitcase/bag with you. 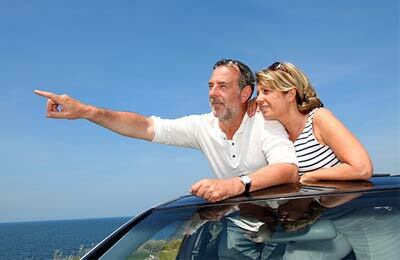 If you are travelling by car ferry, then you can take as much luggage as you can fit in your car. Whether you use the Jadrolinija Split Ancona ferry route, the Dubrovnik Bari ferry service, the Ancona Hvar ferry, or any other Jadrolinija ferry, you are bound to have a relaxing and enjoyable journey. How long before departure should I arrive for Jadrolinija? The ferry crossing was on time,, very comfortable - good cabin, and exactly what we needed. The loading was a real pain, little communication on loading until you were signaled to load. Having to back in is definitely foreign to us. The Ferry itself was clean and quite nice. The cabins are nice and enabled us to get rest. Be aware the seas are very rough so bring your own meds as staff can not help, they say they can not do anything for sea sickness. Be prepared. Having read several reviews of this ferry journey, I approached my trip with great trepidation. However, although there was some confusion as to how to get the physical ticket to board the ferry, (I only had a confirmation number and image and printed receipt,) once aboard everything was great. The Croatian staff were very helpful, though they do everything in a very serious manner - possibly explaining why other travelers think they are unfriendly. I thought they were great. The cabin was simple, but very clean and adequate. The shower was hot and plentiful. I would not hesitate to use the same ferry service again. I really enjoyed the experience.